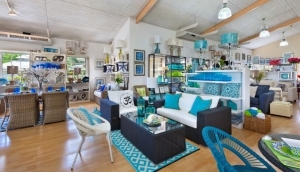 Modern architecture, contemporary interior design and ornate landscaping have advanced at a phenomenal rate in Barbados, resulting in heightened demand for the services of interior design mavens and tropical styled furnishings. As more fine houses spring up all over the island, so do specialty shops and design services. These work with local artisans as well as overseas field experts to source literally almost anything you might need to fashion a home that's unique and reflects your personal taste and style.